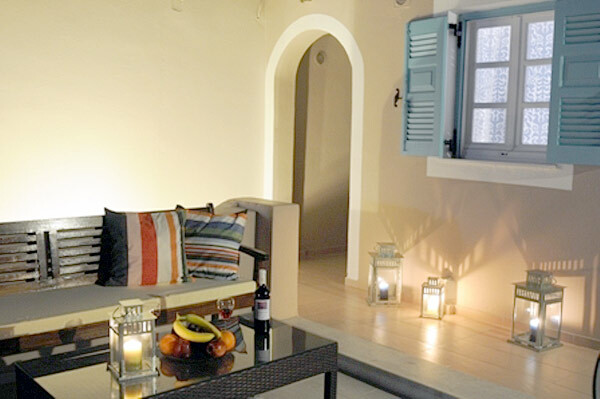 On the most beautiful island of the Cyclades, Santorini, you can find Villa Rose. 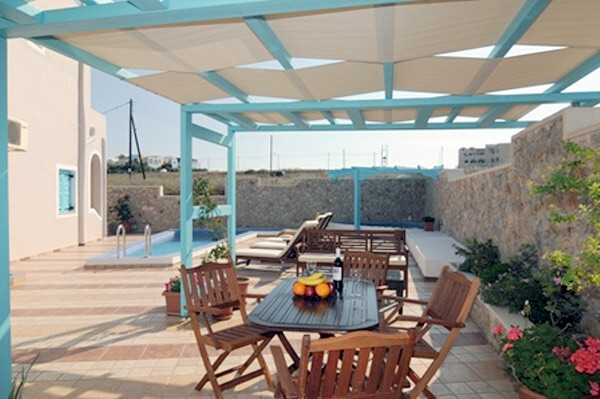 Villa Rose is a small friendly family run business. 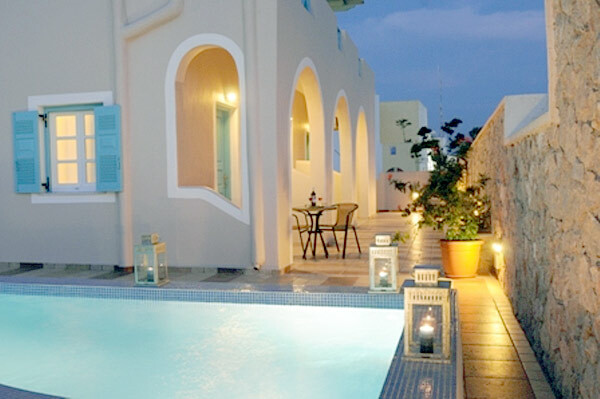 It is situated on the lower road in Fira town, Santorini capital, and is literally 7 minutes walk from the main square. 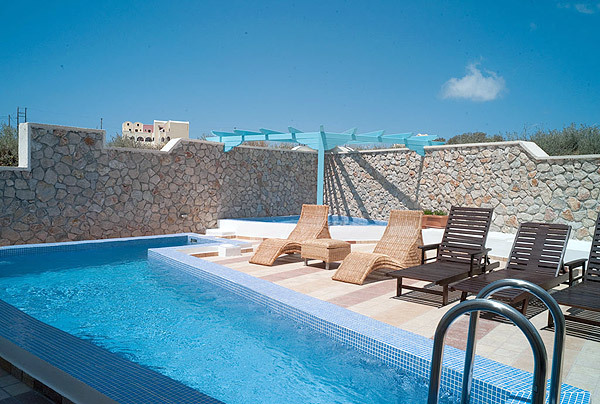 Villa Rose offers simply furnished but more than adequate rooms for 2, 3 and 4 persons. 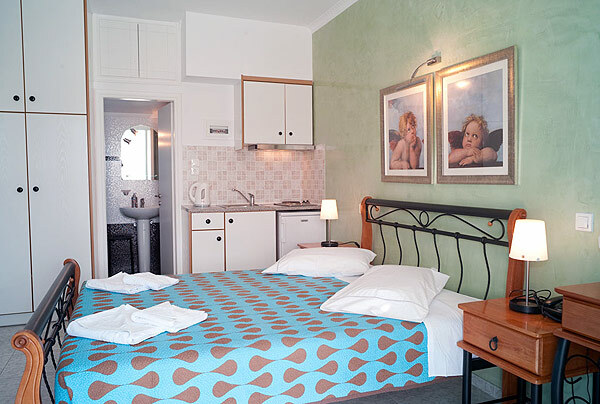 Room features include private bathrooms, hair dryers, air conditioning, Satellite TV and direct dial phone. 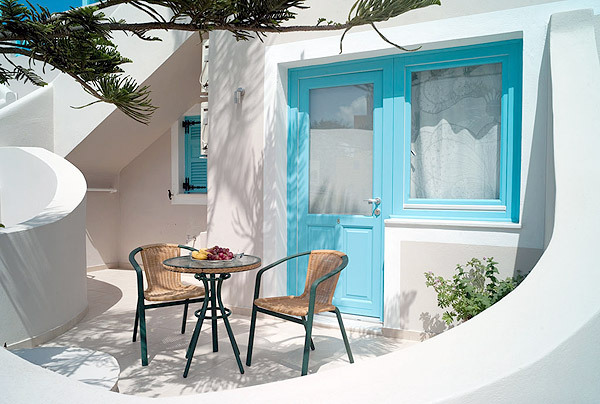 Because the rooms at Villa Rose have small kitchen units with a fridge, we provide free bottles of water, juices, Greek and French coffee, and the famous �Frappe� (Iced Coffee) which is beloved by all Greeks. To make all these types of coffees, we supply a coffee percolator, an electric kettle and a �frappe� maker. Getting to and from Villa Rose is really easy. 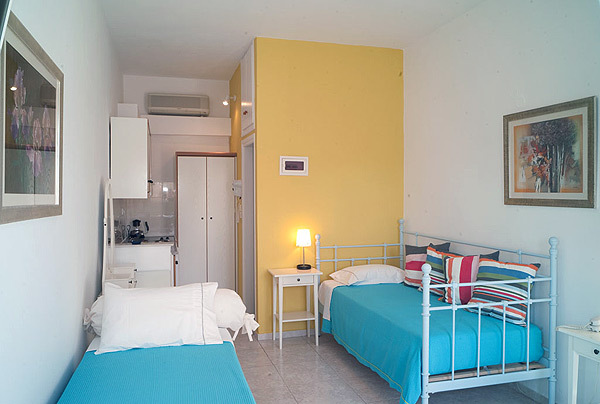 Right next to the hotel is the nearest local bus stop with routes connecting to the beaches of Kamari, Perissa, Perivolos and Akrotiri, as well as Pyrgos village. The main bus depot is just up the road, below the main square. 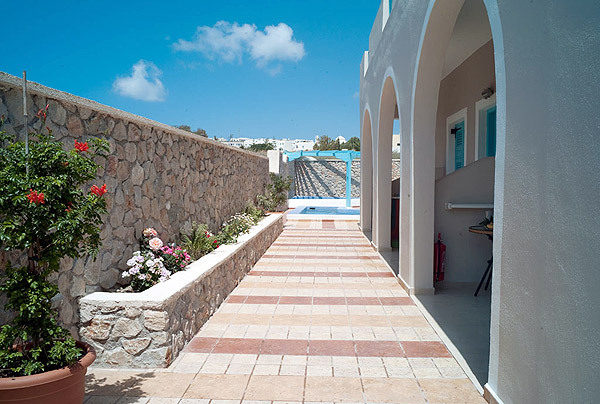 From there you can catch a bus for alternative destinations, such as Imerovigli, Finikia and Oia in the north. We can assist you with renting a car or bike and anything else you may need. There is also a parking area available. 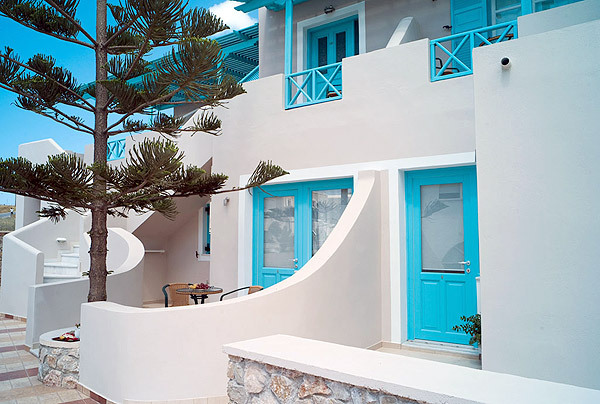 Villa Rose is the ideal place for everyone - young people, families and friends traveling together - a place where you can experience a warm welcome, instant hospitality and a Greek family\'s way of life.